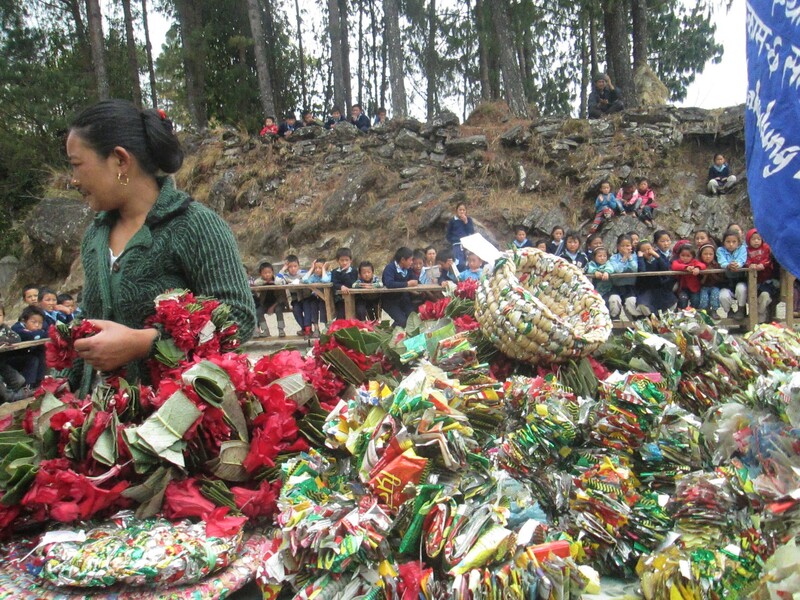 A local community member piling up garlands made out of recycled plastic waste and wild rhododendron flowers in Chheskam. The community of Chheskam has been formally declared as an Open Plastic Free(OPF) zone in 2017 May 2. 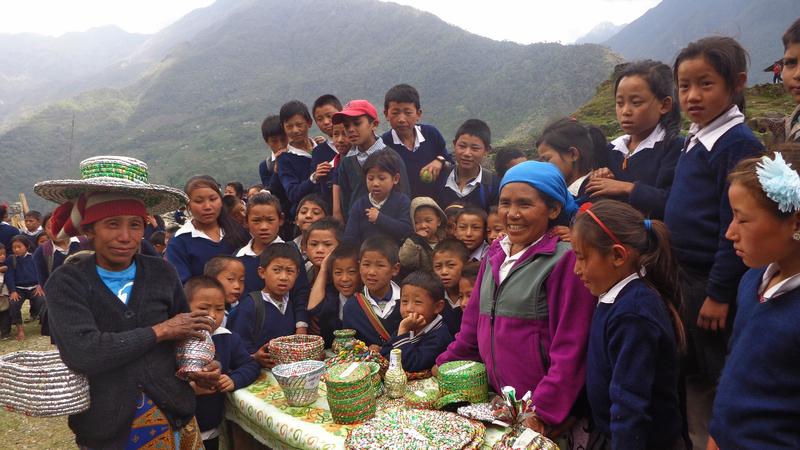 The OPF drive was made successful by the initiation and leadership of the 7 community schools within its area. 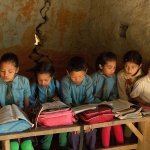 Chheskam had already added a feather in its cap when it became the first village in the country to be an Eco-San Village with 100% of households owning an ‘eco-san’ toilet that collects and recycles urine. 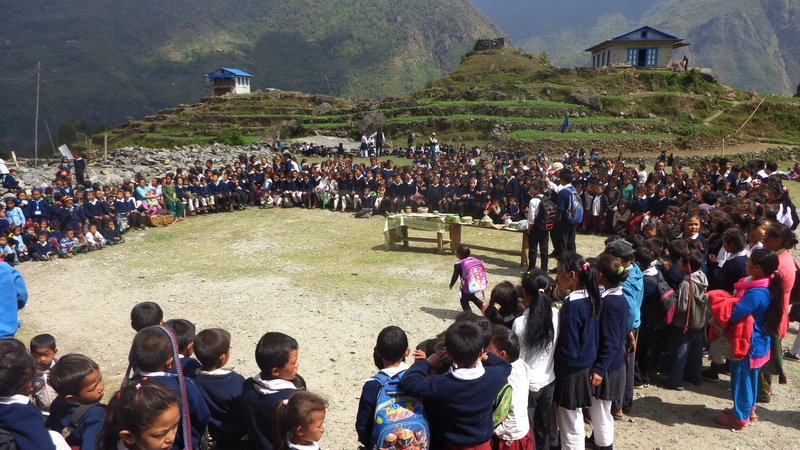 In the beginning of this OPF drive, our local NGO partner Nava Yug Ekata Bikas Samittee (NYBS) with support from local VDC office had conducted a series of awareness raising and orientation programs in all 7 local schools. This program helped raise awareness about the importance of managing plastic waste and helped the student club understand about how plastic harms the environment and health. The student groups agreed to take the lead in the OPF drive. 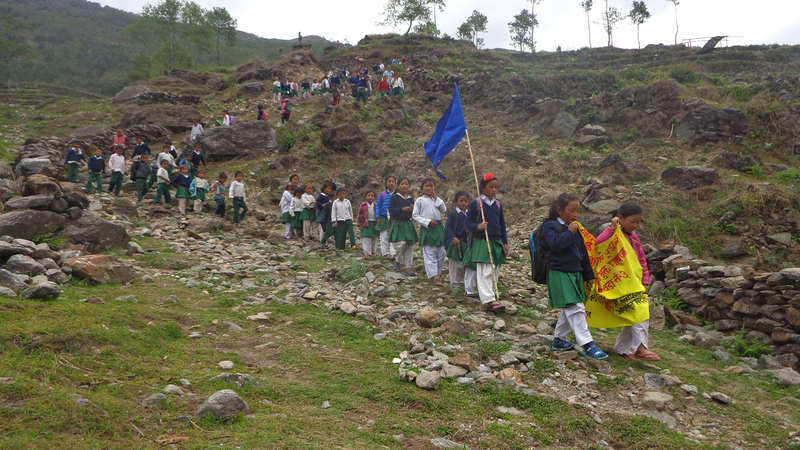 Students from Chheskam High School taking part in a rally to raise awareness about OPF in their neighborhood. NYBS also conducted a one week training program on collecting and reusing plastic waste for 22 interested women from various parts of Chheskam. 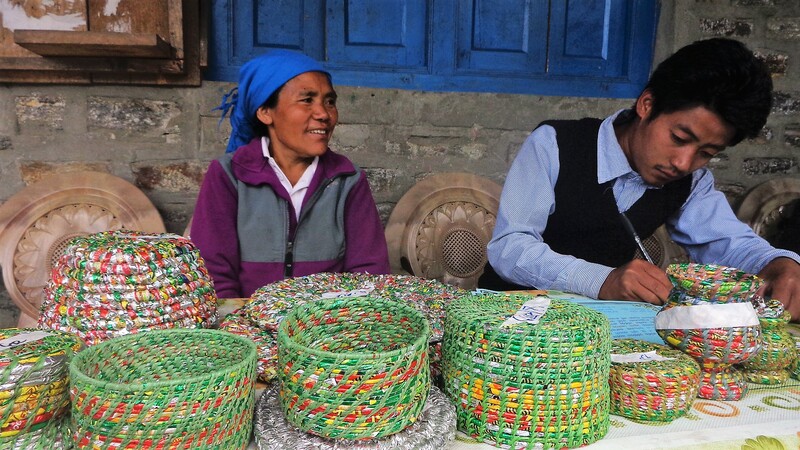 The trainer was a local woman and member of NYBS, Maya Devi Kulung, who had learned to make different household items like baskets, mats, and boxes out of plastic waste that she found around her home and neighborhood. 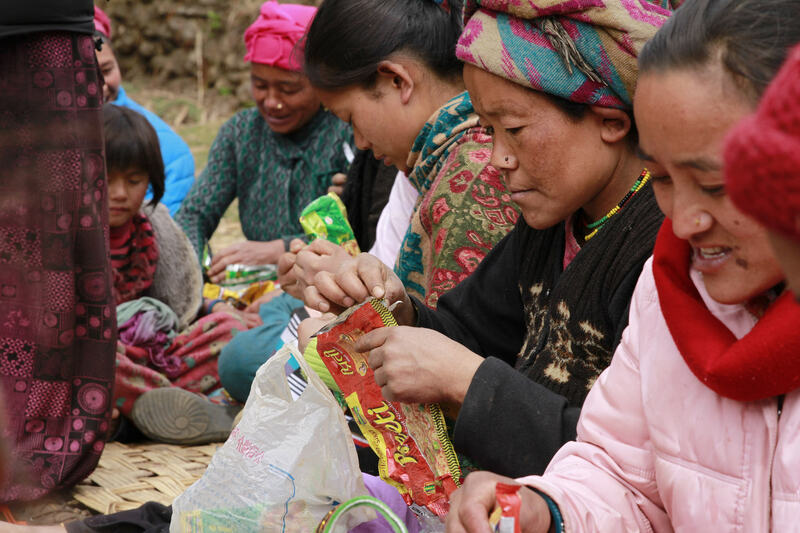 All the women learned how to make such creative and useful items from plastic. On the day of the declaration ceremony, a lot of the trainees and other neighbors who had also learned the craft brought their upcycled plastic items for demonstration. 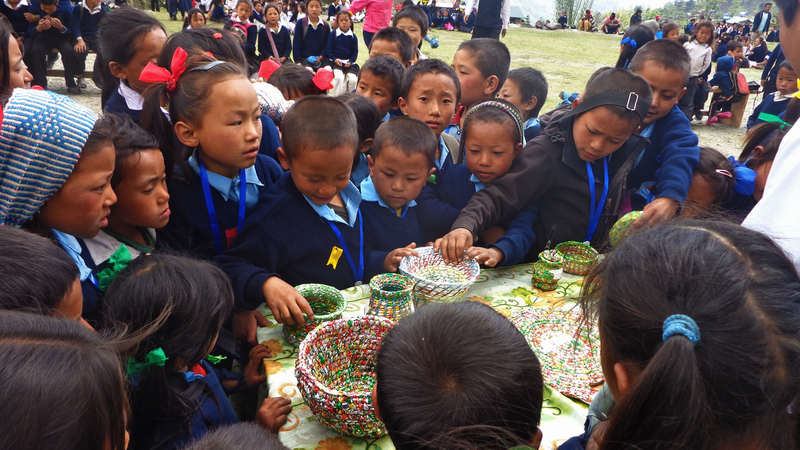 They had made various items out of the plastic waste that they collected. Meera Nachhiring from Mamerku won an award for the best creation. She says “I am happy to have won and recognized for my skill. But what I am happier about is that all the items on display were sold. I am the happiest to see that we have been successful in minimizing so much of the plastic waste.” She further shared that she will continue to follow the principle of making “money out of waste” (fohor baata mohor) that she learned in the training, and is committed to minimizing and recycling her plastic waste. Various items made out of plastic wrapper for demonstration in sell during the OPF declaration ceremony. 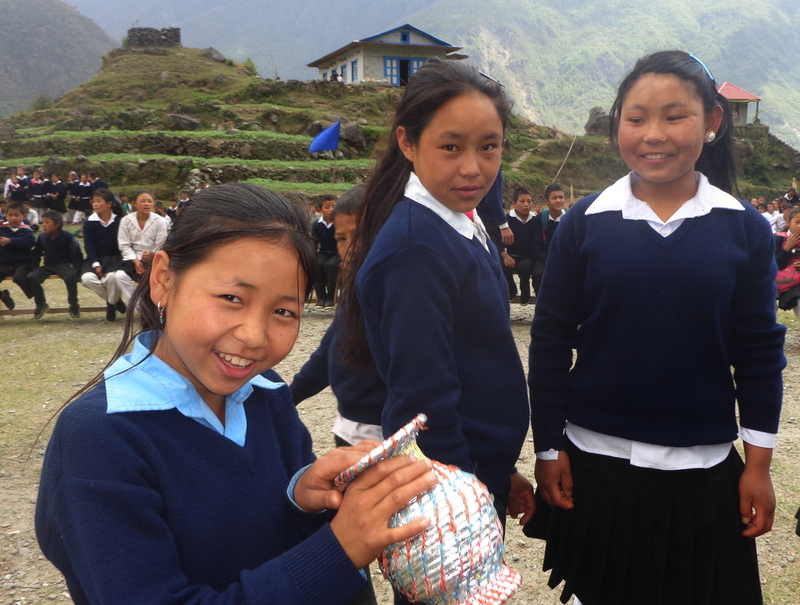 Local women show the various items they made out of recycled plastic. 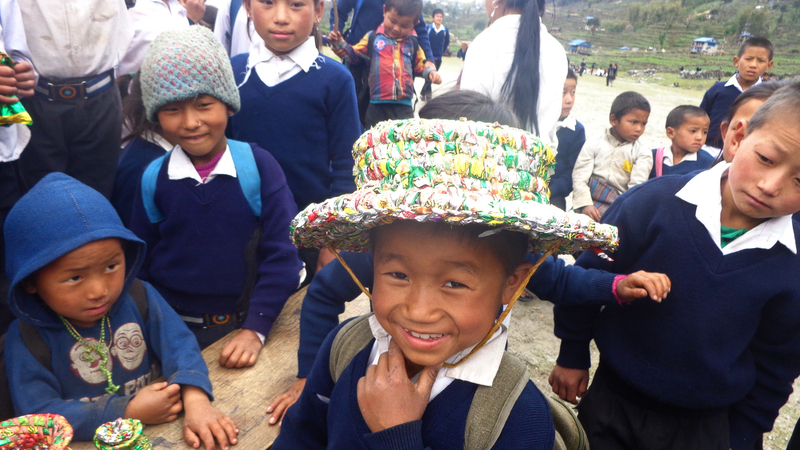 A student tries out a new style of hat. Various guests of the ceremony were greeted by wrappers made out of recycled plastic. Although plastic has made life in village easier,it has also brought with it serious hazard to the environment. Plastic waste has already started showing adverse effects in human health, air, soil and water. Even in our working areas which is very remote, we can now see plastics thrown around everywhere. Many community members opt to burn these plastic as their management which obviously is even more harmful. 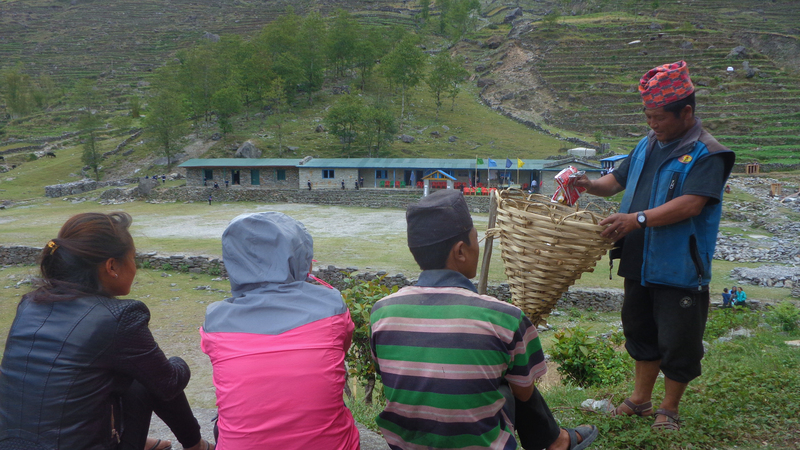 In our working area, the community of Gudel is the leader in OPF. 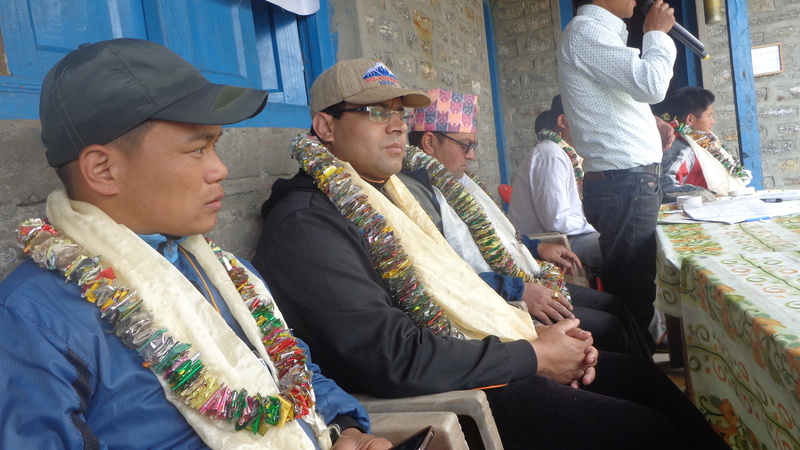 They had successfully run the OPF campaign in 2012 and declared themselves OPF zone. This was a key inspirational moment for Chheskam. As their community got more and more swamped by all the plastic waste, finally NYBS took the leadership to initiate becoming an OPF zone too. Now as part of the OPF movement, local schools have become the leader in management of the plastic as well as keeping the community on toes. Every household has now made a bamboo waste collection bin. Similarly there are collection bins on trails, public places, school, the local health post and other office premises. Although NYBS initially started this conversation about being open plastic free, it got support from two other local organizations. 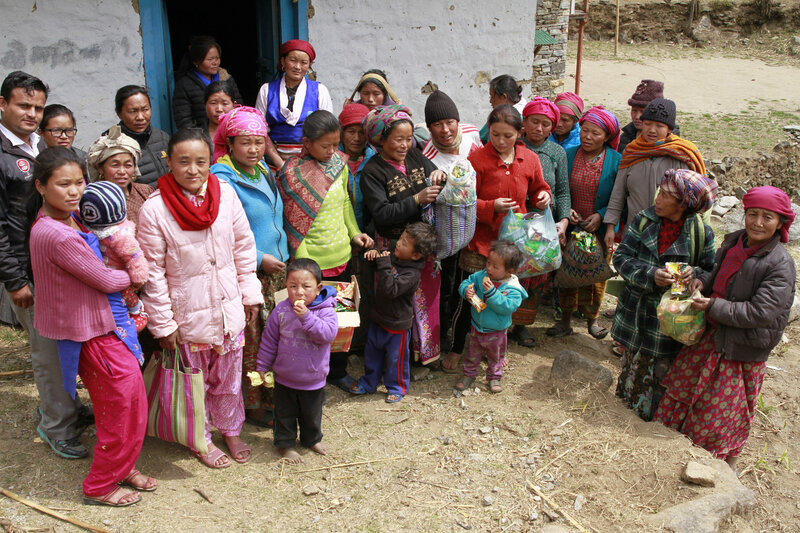 The OPF program was also supported by Majestic Himalayan Trekkers-a trekking company run by local of Chheskam, and Mahakulung Poverty Alleviation Agriculture Cooperative- a locally formed cooperative. Students checking out a vase made out of plastic. Students check out various items made out of plastic. 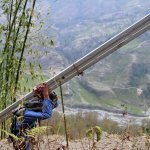 Next New Partnership in Jaleswori.